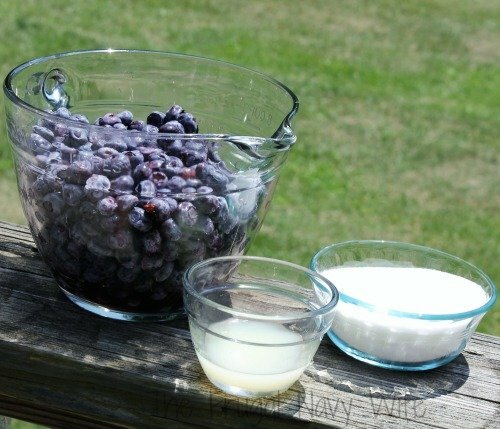 One of my favorite parts of summer has always been the blueberries. My kids also got this love from me and come summer time it's one of the most eaten snacks around my house! 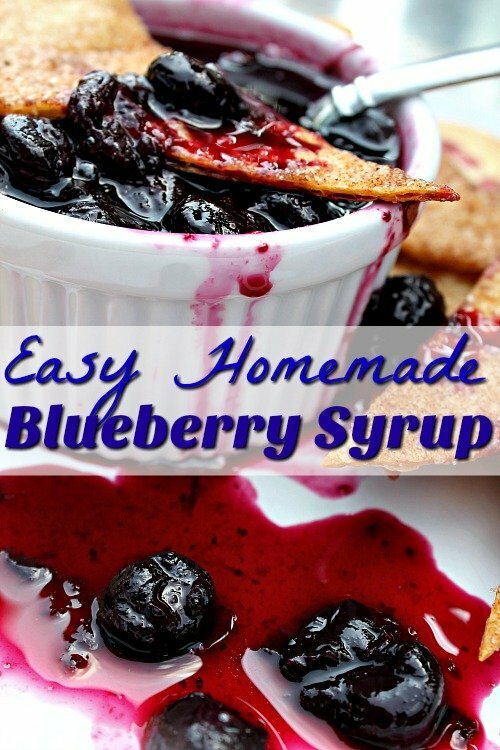 We have made so many recipes with blueberries from my Blueberry Pancake Bites to my Easy Blueberry Freezer Jam. Well, recently we stumbled upon a patch of wild Maine Blueberries. While it was still early in the season, we stopped and picked as many as we could. We made a batch of wild blueberry muffins. But we had some leftover and my kids were begging for pancakes, so I made some blueberry syrup to go with it. 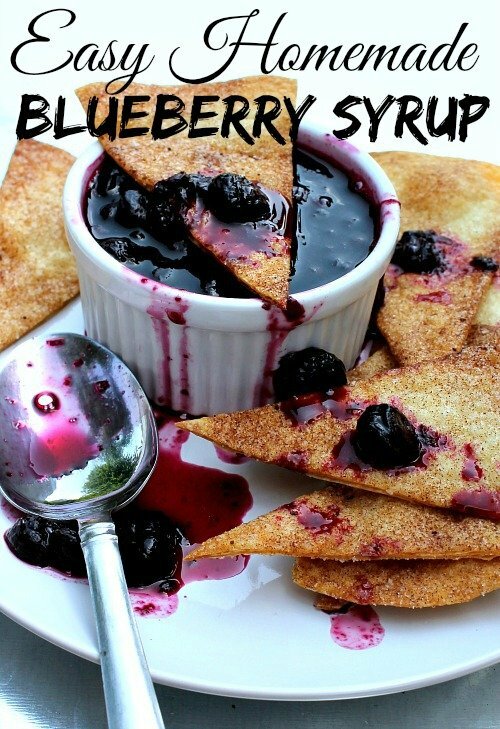 This recipe is very easy only 3 ingredients, and it's super yummy with freshly picked blueberries! I have to say freshly picked blueberries are something everyone should experience! They taste a million times better than any you have ever bought in the store! I won't be able to eat store-bought again! In a sauce pan combine all ingredients. 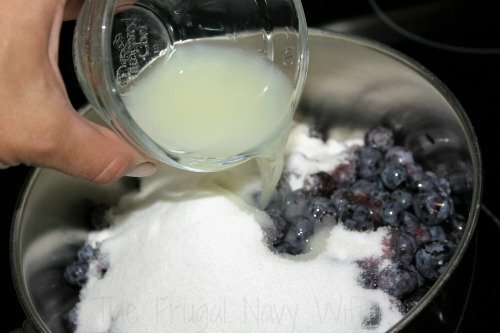 Using a colander or food mill break up berries. I like larger berries, so I do not use a food processor. If you want a smooth nonchunky syrup, I suggest a food processor. Place syrup in HOT jars if you plan to can it. 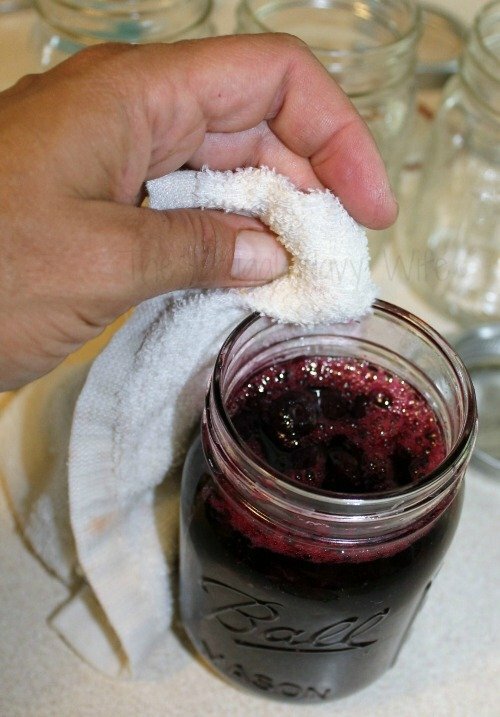 Wipe rim off the jar, place lid and secure hand tight. Process in a water bath for 20 min, adjust for altitude. 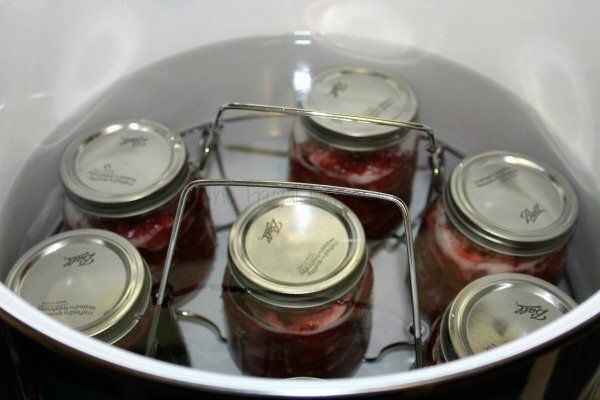 Allow jars to cool and store in cool dark place for up to a year. 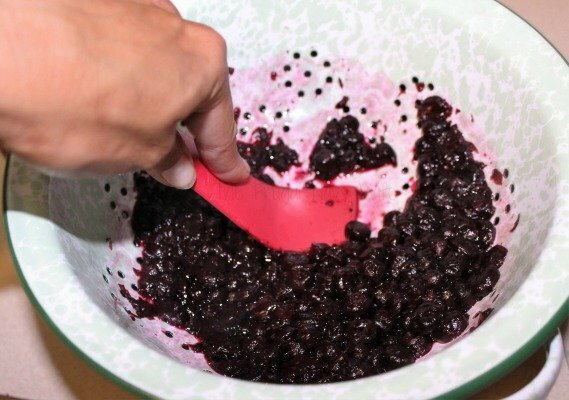 Using a colander or food mill break up berries. I like larger berries so I do not used a food processor. Place syrup in HOT jars if you plan to can it. 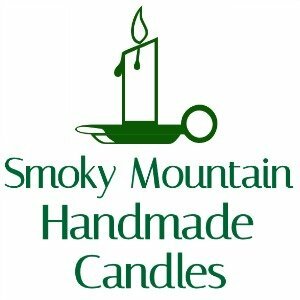 Wipe rim of jar, place lid and secure hand tight. Process in a water bath for 20 min, adjust for altitude.